Starbucks Cofee UK reported strong sales for its Christmas drinks, with 20% more Gingerbread Lattes! Starbucks has announced plans to open 30 new stores in the UK by September 2010, following an “exceptionally busy Christmas period”. The new stores, which will be a mixture of company-owned and licensed outlets, are planned to open by the end of Starbucks’ fiscal year in September. Read more here. 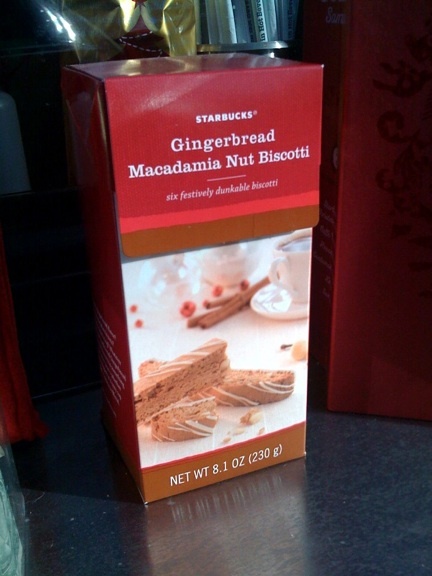 We were at the Starbucks coffee drive thru this morning and wouldn’t you know it but right on the shelf they had a big bag of Gingerbread Macadamia Nut Biscotti! You can purchase the biscotti at your local Starbucks coffee shop or if you want the “Sample” you can order it online and it comes with the below. Three festive gingerbread macadamia nut biscotti pair perfectly with the classic sweet, spicy flavor of Starbucks® Christmas Blend. 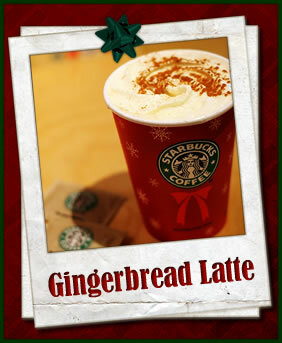 Pull a chair up to the fire and enjoy Starbucks® coffee in the classic Starbucks mug.